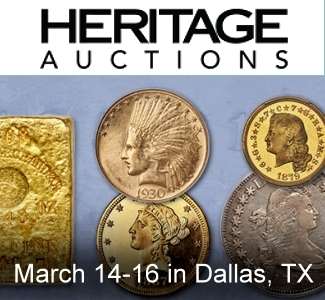 Sedwick’s next auction, scheduled for April 26-28 (one session each day), will feature several Potosi cob “Hearts” and “Royals” (very rare special presentation issues), affording collectors an exceptional opportunity, since “Hearts” in particular have virtually disappeared from the market. 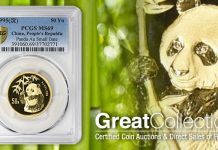 Other “Royals” from the Mexico and Lima mints will be offered as well. 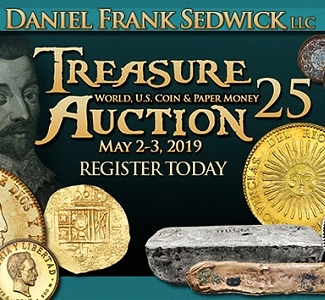 As usual, Sedwick’s auction will present hundreds of lots of shipwreck silver coins, including nearly 200 from the Atocha (1622) and about 150 from the 1715 Fleet, mostly from the “Bamberg division” of coins de-accessed from the State of Florida collection. 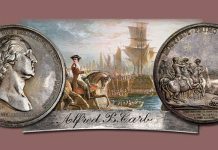 There will also be several large silver bars from the Atocha. 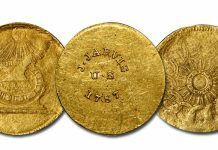 In addition there will be many lots of Mexican and Peruvian gold cobs, mostly from the 1715 Fleet, including a rarely-seen Cuzco 1 escudo. 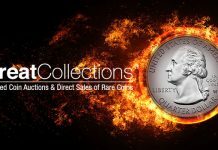 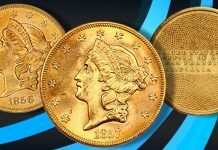 The world gold coins section following that will feature several important coins such as a Proof Cuba peso of 1915 and a Chile 2 escudos of 1758. 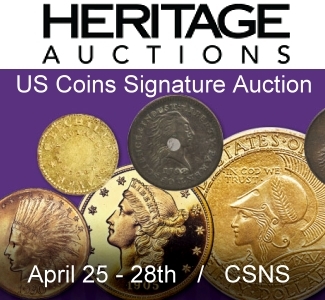 The most significant gold offering in this auction (with a stand-alone session and separate catalog), is the Dr. Frank Sedwick collection of Colombian Republic gold coins. 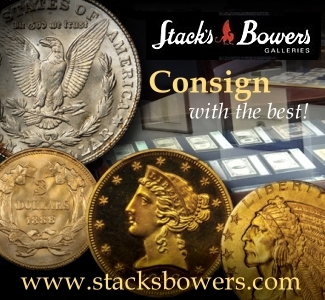 While Dr. Sedwick was famous for cobs, before he was ever a coin dealer he amassed one of the top collections in the world of later (mostly 1800s) gold coins from independent Colombia, a topic on which he wrote the standard reference book in 1991. 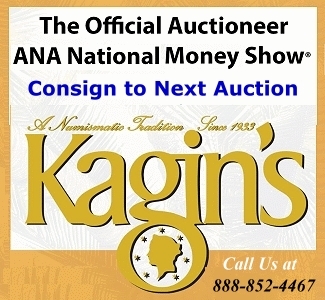 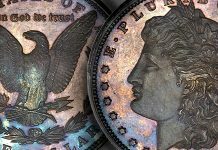 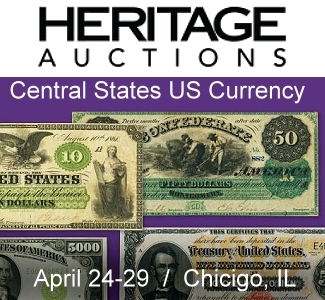 In silver cobs, bidders will have a shot at a collection of dated Mexican cob 8 reales and a collection of some of the finest-known cob 2 reales from Lima and Potosi, along with the “Hearts” and “Royals” previously mentioned. 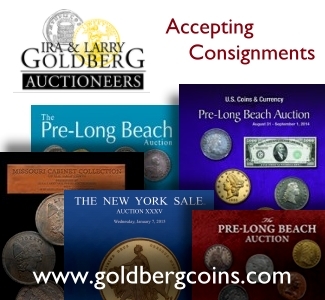 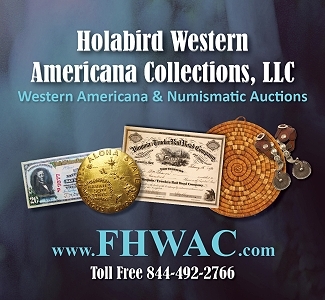 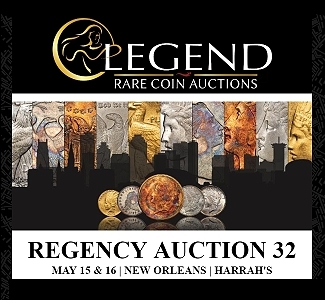 Rounding out the auction will be general world coins (including ancients), artifacts (including fossils), documents and books (both antiquarian and modern).